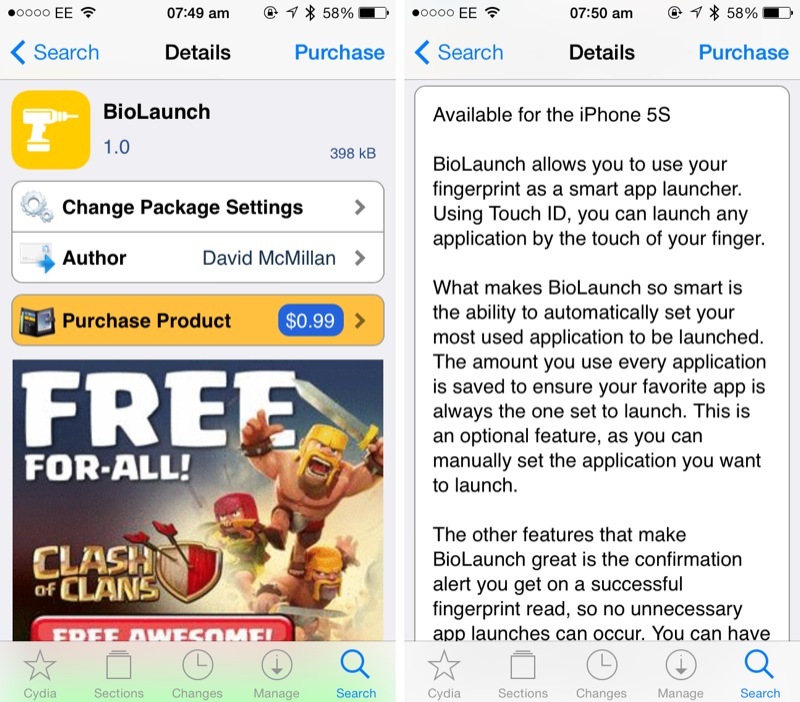 BioLaunch is a new Touch ID app launcher for jailbroken iPhone 5s users, but it includes one interesting, new feature. Besides allowing users to link fingerprints to iOS app shortcuts, BioLaunch can also determine and launch an iPhone’s most popular iOS application, too. For the most part, BioLaunch is a lot like Touchy, which launched in the Cydia Store a few days ago. 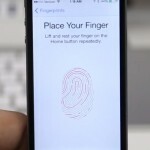 The new jailbreak tweak can link iOS apps to individual fingerprints, and once configured, BioLaunch allows jailbreakers to open apps by simply placing the appropriate finger upon their Touch ID-equipped Home button. However, besides offering similar functionality at a lesser price (BioLaunch is just $0.99, while Touchy is $1.99), the new package also includes several additional features which could sway the opinion of potential customers. First, users of BioLaunch can have the jailbreak tweak launch their handset’s most-used iOS app. The clever jailbreak package is able to figure out which iOS application its user most often launches upon unlocking their iPhone 5s, and with this feature enabled, that particular app can be configured to auto-launch using Touch ID. Second, BioLaunch can be configured to display a “Confirmation Alert” when a fingerprint has been matched against a particular iOS app. Problematically, users then have to manually confirm the subsequent app launch, which makes no sense. Because if you’re going to interact with your iPhone’s touch screen in this way, why not just launch the application yourself? There’s also a “Vibrate On Success” toggle, which is a fairly common and useful addition among Touch ID-based jailbreak tweaks. These additional features aside, in terms of price BioLaunch is less expensive than Touchy, and as such it’s probably the best option out of the two. You get a couple of additional features which may or may not be of use, but most importantly, BioLaunch users get a similar Touch ID app shortcut feature for one dollar less. 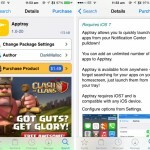 For some recent news and previews of jailbreak tweaks, be sure to check out our articles on BioUnlock, Apptray, and SwipeSelection. See also: Apple’s Flagship Brisbane Retail Store Opens Its Doors To The Public, Discover, Plan And Share Your Next Epic Adventure With The New Epiclist App For iOS, and Sony Unpacks iOS Edition Of Sly Cooper Arcade Mini-Game Spin-Off Bentley’s Hackpack.